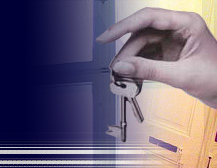 We provide all-inclusive legal services related to real property, e.g. the purchase and rental contracts; proposals to register property titles; leasing and subleasing agreements; easement contracts; gift deeds; agreements on conveyance of property interests; statements by real estate owners, ... and any other documents related to sale, lease, donation, inheritance or property transactions. We do not only take care of the matters related to funding property purchases (credits, loans and the associated security operations), but we also render other financial services entailed by real estate transactions, be they services involved directly in the transaction itself or independent services. These include mainly depositing and custody of purchase prices, the relevant taxes and their payment; preparing the tax returns; and the like. Construction-technical services – ensuring of development projects, complex renovation, designs , interiers and exteriers, ensuring of construction activities. Construction of new apartments and their subsequent management, lease and sale. Preparation, ensuring and complete realization of development plans. We give full-scope counsel on the issues of real estate market and whatever is related to it.